While Fort Worth is known for its meat and potato "cowboy cuisine" and Dallas for its upscale artisanal restaurants, the Metroplex has embraced the next wave of culinary creativity: the food truck revolution Whether it's strawberry basil balsamic lemonade, herb and pepper infused olive oil, Cajun crawfish pasta or whoopie pies, the food trucks in cowboy country are serving a wide range of cuisines as well as the traditional hamburgers, hot dogs and handheld treats. 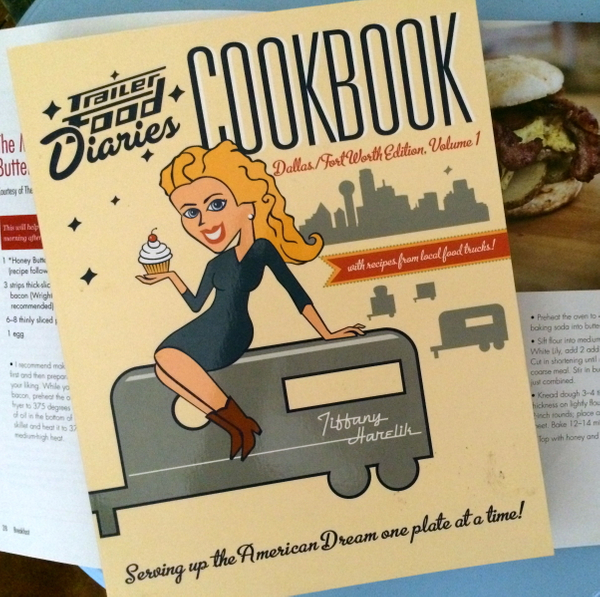 Join Tiffany Harelik as she brings the Trailer Food Diaries to the Metroplex and explores the recipes and personal stories behind Dallas and Fort Worth's favorite restaurants on wheels. Purchase the book here.